Product prices and availability are accurate as of 2019-04-22 00:40:16 UTC and are subject to change. Any price and availability information displayed on http://www.amazon.com/ at the time of purchase will apply to the purchase of this product. Promise You Will Keep Me Safe? 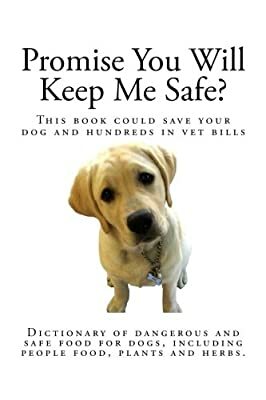 is a really practical book to have as it can help you identify which plants are not safe for your dog and thus, helping you create a safer home and yard for your dog. This book could also be beneficial in identifying unsafe plants on walks or hikes with your pup! We hope this book helps in identifying unsafe plants for your dog!